I love spirals. You can probably tell that just by looking at my logo above. One of my happiest crochet moments was when I realized that I could crochet spirals, since then I have put them in many of my designs. My newest pattern is not only a celebration of the beauty of spirals it is also a celebration of the functionality of spirals. 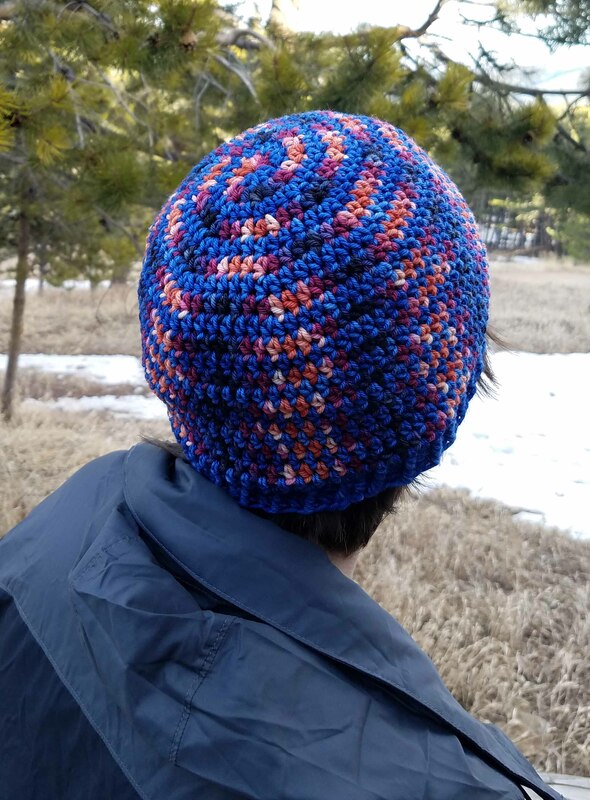 This is my Spiraling Stripes Hat. It is crocheted using 2 colors and a 2 – armed spiral. 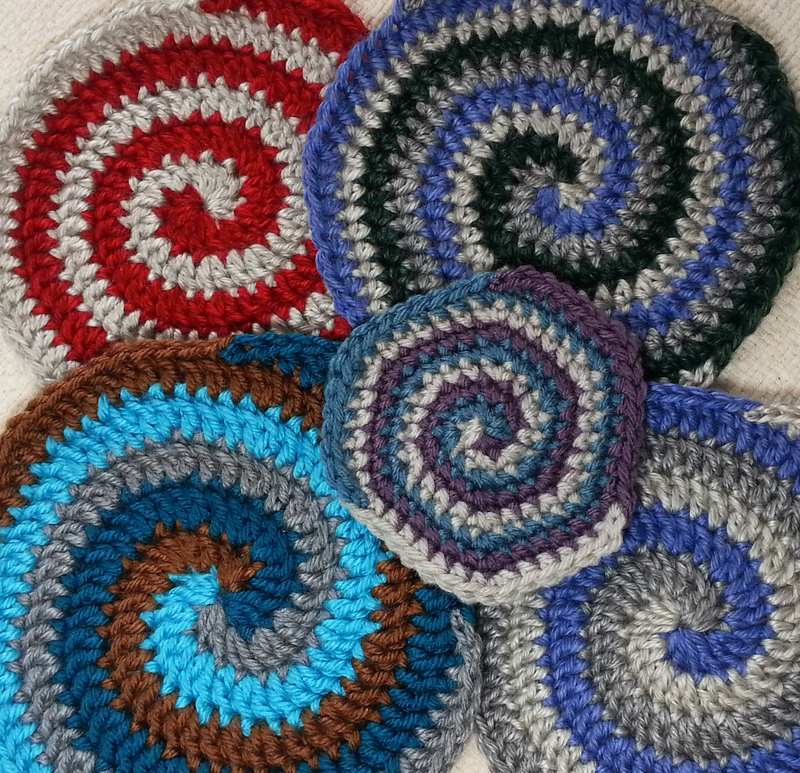 Spirals are another version of continuous rounds in crochet. This sort of construction makes a lovely elastic fabric for hats because you don’t have a seam of tight slip stitches joining each round. The pattern is available for purchase in my Ravelry Shop. This pattern includes a step by step photo tutorial and detailed stitch chart to help you understand crocheting the spiral. 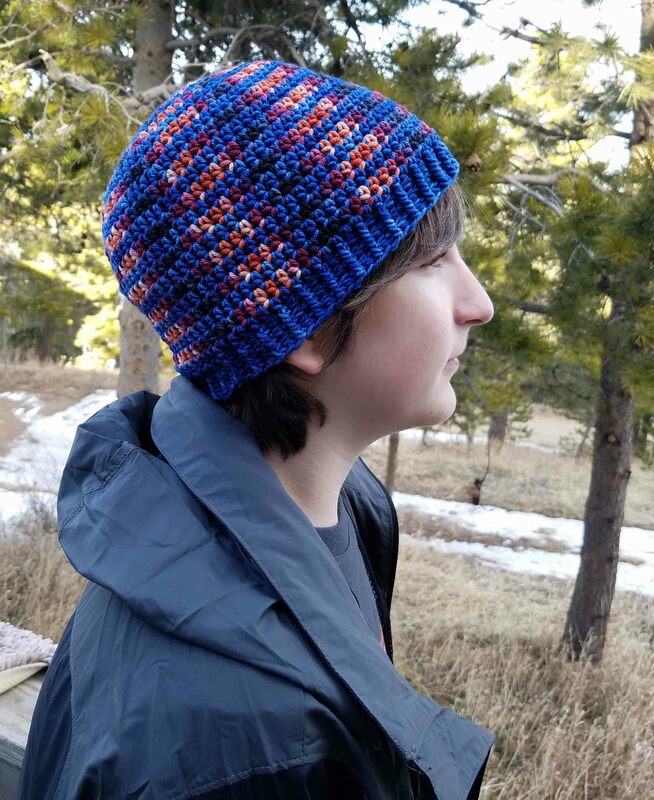 I used Round Mountain Fibers worsted weight Superwash Merino wool for this hat. These were 2 colors from their Ornithology Collection: Puffin Blue and California Quail. Their hank size is 174 yards in 100 grams, so this is a slightly heavier weight worsted.